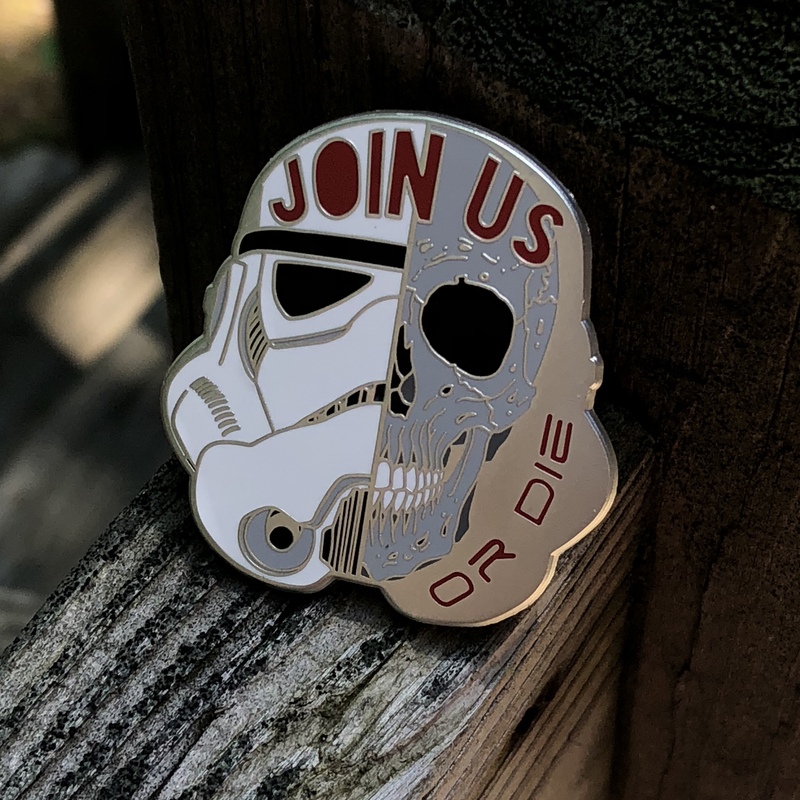 Large almost 2” trooper pin in a brushed silver metal with hard enamel. 2 posts on back. Half skull, half stormtrooper. Join the Empire!